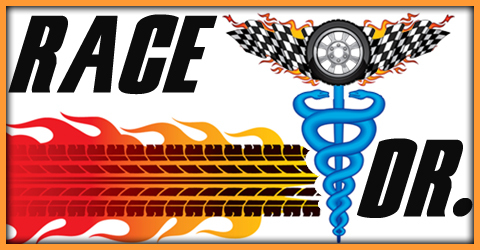 September | 2013 | The Race Dr.
Kansas hosted their first race in 2001. This is the third year Kansas will host two races. There have been ten different winners in 15 races here, Jeff Gordon, Jimmie Johnson, Greg Biffle, Matt Kensth and Tony Stewart being the repeat winners. Hendrick Motorsports and Roush/Fenway Racing have each won four races here making them the two dominate teams. Joe Gibbs Racing has three wins. Will one of these three teams keep their command of the track or will we see a challenger in victory lane? We’ll know on Sunday. Tuesday look for our Top 10 Drivers by track type. 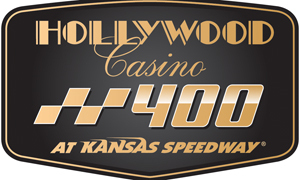 Thursday we rank the Top 30 drivers for the Hollywood Casino 400 from Kansas Speedway. My #5 driver is my #1 rated driver on tracks like this, #99 Carl Edwards. Carl comes into the first state with 18 starts, one win and eight Top 5’s. Three of his last six races were Top 5’s. The #4 pick is a four-time winner here at the Monster Mile #24 Jeff Gordon. He needs to have all Top 5’s for the rest of the season to have a shot at the Championship. He should have no problem this week, as Jeff’s last two races here were Top 5’s and he is #3 hottest over the last six weeks. The #3 pick won here in May of 2011, #20 Matt Kenseth. Matt comes into the Monster Mile with 29 starts, two wins and 13 Top 5’s. Matt is ranked #4 on these intermediate tracks and eight of his last eleven races here were Top 5’s. Matt is also #1 hottest over the last six weeks and is #1 in points. My #2 driver is a seven-time former winner, #48 Jimmie Johnson. Here at Dover Jimmie has seven wins in just 23 starts and 11 Top 5’s. He has four wins in his last nine starts including a win here in June of last year! Jimmie has 18 straight Top 20 finishes, 13 of those were Top 10’s. My #1 driver has finished the last two weeks in second place, #18 Kyle Busch. Kyle has great stats at the Monster Mile – in 17 starts he has two wins and eight Top 5’s. Also keep in mind that after two straight second place finishes behind his teammate, Matt Kenseth, Kyle is going for the win. Monday look for our preview of the Good Sam 500 from Talladega. Friday we break down the Top 5 drivers to watch. These are the Top 10 Teams, Thursday look for our Top 30 drivers for Sunday’s AAA 400 from Dover. Top 10 on Intermediate tracks, Wednesday look for our Top 10 teams, Thursday look for our Top 30 rankings for Sunday’s AAA 400 from Dover Int. Speedway. Coming out of the New Hampshire Motor Speedway –known as the Magic Mile- it is hard to maintain that same level of excitement, but the Monster Mile at Dover comes pretty close. The banking is high and the sight lines are amazing. Take the 12 degrees of banking at New Hampshire and double it to 24 degrees. Just about wherever you sit you have a great view of the track. There is never a dull moment at the Monster Mile and the drama surrounding the Chase only adds to it. Something to keep in mind here at Dover: Hendrick Motorsports have won five races here in the past 10 years, Roush/Fenway won six race wins in the last 10 years, Matt Kenseth won the most recent race for Roush/Fenway. Matt is now over at Joe Gibbs Racing who have only won two races in the last ten years. Can Matt bring his winning Dover ways to Joe Gibbs Racing? We’ll find out on Sunday. Tuesday look for our Top 10 Drivers by track type for Sunday’s AAA 400 from Dover. The #5 pick is not in the Chase, but he is not done yet either, #2 Brad Keselowski. Brad has eight starts here with no wins and three Top 5’s. He is ranked seventh for me on flat tracks, but more importantly lately he has got a great handle on this track. All of his last four races were Top 10’s and three of those were Top 5’s. My #4 driver is rated #1 for me on the flat tracks, #48 Jimmie Johnson. Many people including me have Jimmie pegged as the man to beat in the Chase – remember he doesn’t have to win every race-just get the most Top 5’s. Jimmie has 23 starts, three wins, and nine total Top 5’s. Jimmie has 11 Top 10’s in his last 13 starts here and six of those were Top 5’s. The #3 pick is also a former winner, #5 Kasey Kahne. Kasey comes into the Granite Planet with 19 starts, one win and three Top 5 finishes. More importantly he won here in June 2012 and finished fifth earlier in the year. My #2 driver is another a former winner, #18 Kyle Busch. Kyle has 17 starts, one win and five total Top 5’s. He is 3rd hottest over the last six weeks and back in June he finished at this track in second place. My #1 pick is a three-time former-winner here, #24 Jeff Gordon. Jeff has 37 starts, three wins and 16 Top 5’s here. If Jeff and his team are thinking about a 5th Championship they need to start racking up some wins or at least a bunch of Top 3 finishes. Here in New Hampshire Jeff has the #1 highest average finish and 16 straight Top 15 finishes, ten of those were Top 10’s and seven were Top 5’s. 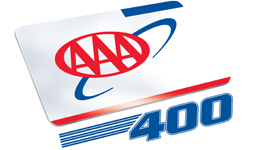 Monday we’ll preview the AAA 400 from Dover.